I visited Phnom Penh with my wife over the Chinese New Year break with a friend who had been in and out of that country for a very long time. We wanted to visit the Muslim communities in Cambodia and to see for ourselves their living environment and social development. 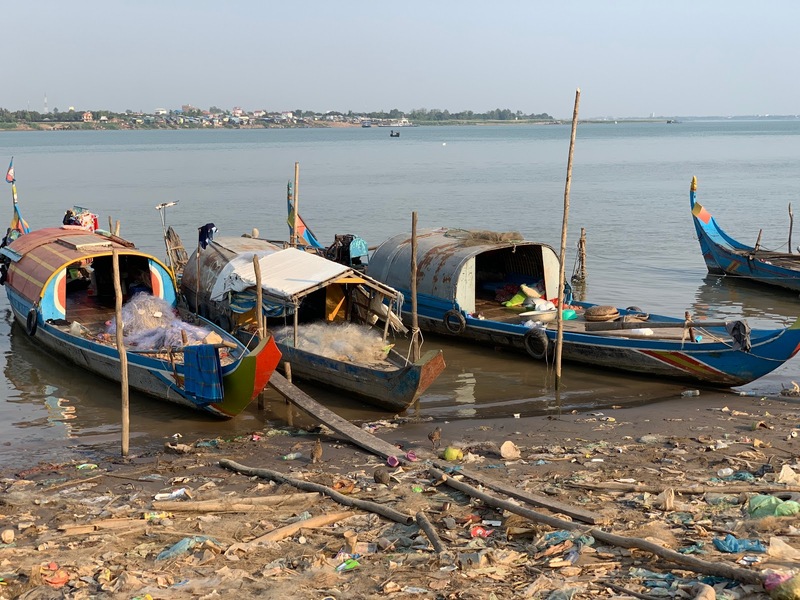 Our first stop was just across the Tonle Sap river which flows across Phnom Penh. We went to visit a community living by the riverside in the district of Chroy Changvar. 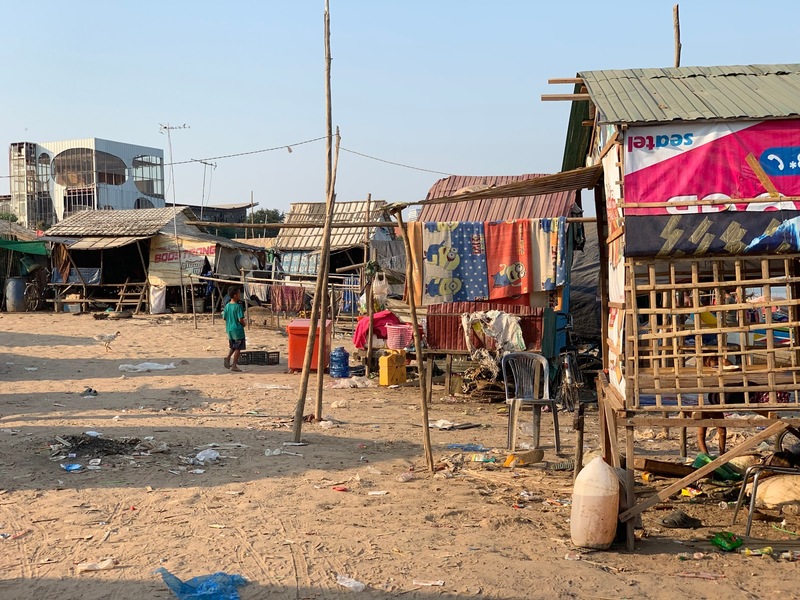 This community consists of around 180 families and some of them joined this community when they were displaced by development projects elsewhere. 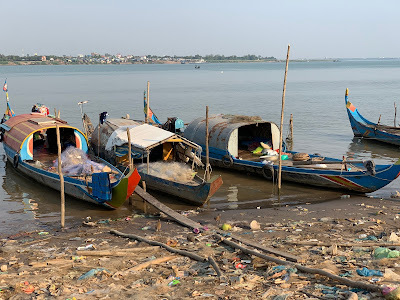 Some live in small boats anchored by the riverside and some have their small shacks made of wood and plastics. Their children go to the nearby schools and when they are free, they wonder around and play along the riverbank. 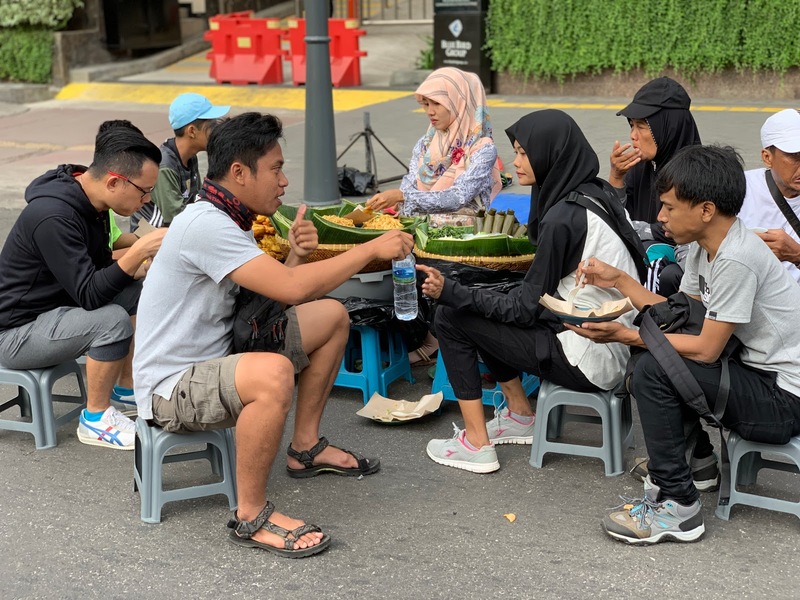 It would be tough for them to break away from the hardship of their parents although we met a few who studied in Malaysia before. 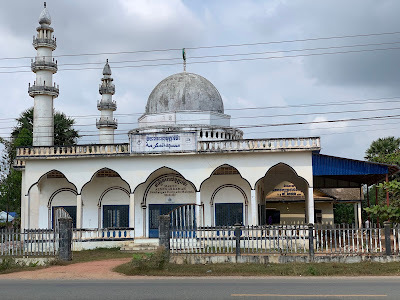 While I passed a new and modern mosque not far from this community, I wonder whether they offer education and skill training which could empower this community to be able to live on their own feet. The next day we went to visit another Muslim community at Kampung Cham, around 3 hours drive from Phnom Penh. The community is located around another hour drive from the town centre. The community which I visited live in a more organised way. 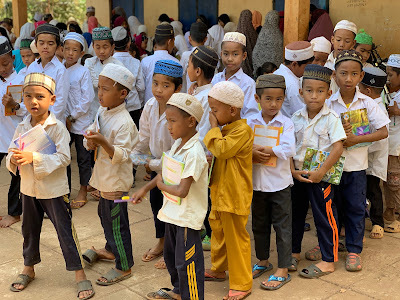 They have a mosque and a simple school, better homes and water supply. They received aids from abroad including from Malaysia. I was invited to one of the community leaders' home and we were served with grilled river fish and vegetable soup. Very mouth watering considering the journey which we took to be there. 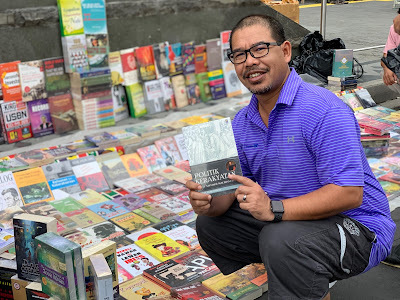 Perhaps what they need to focus on moving forward is to find ways to equip themselves with knowledge and skills so that they could develop economically and intellectually. I am sure Muslims would be more respected if they can take care of themselves better and contribute more towards nation building. 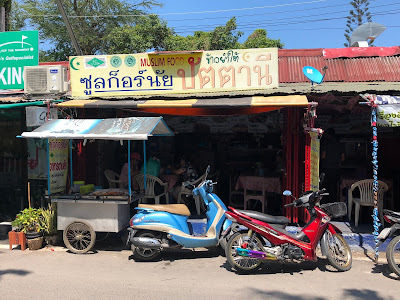 The third community which we wanted to visit was in Kampot, which is closer to the Vietnamese border. 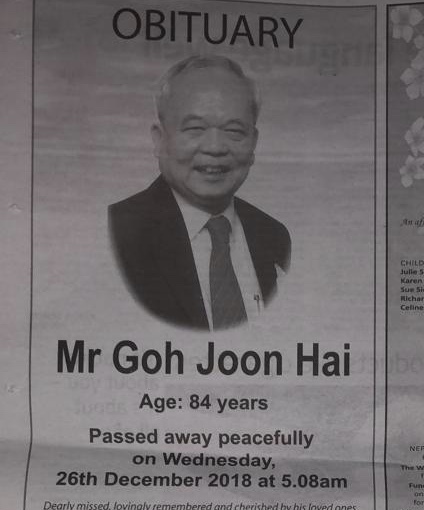 It is also famous for its durian. I can assure you that it tastes amongst the best which I had ever tasted. The journey was very rough as we took an alternative route where a third of the road was heavily damaged and was in the process of re-construction. 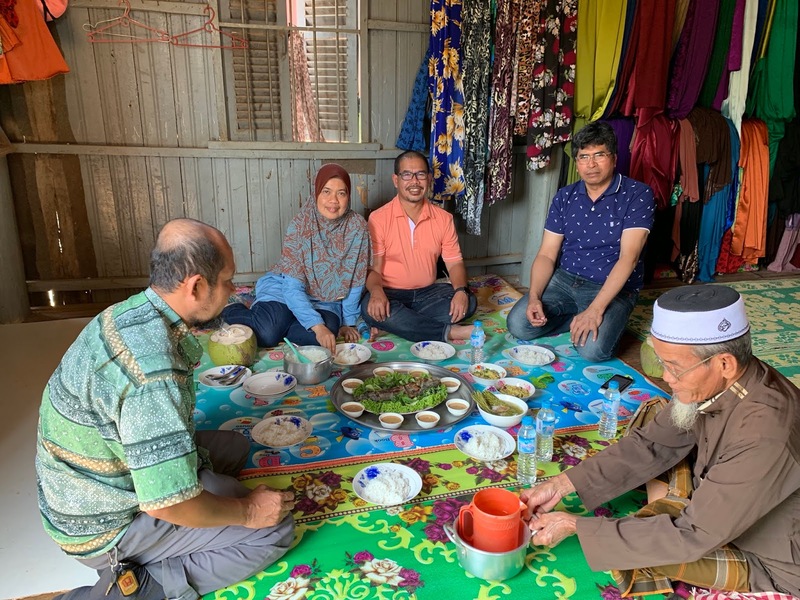 After a very nice seafood lunch, we visited a village where a nice mosque was re-built with the assistance of Malaysians. 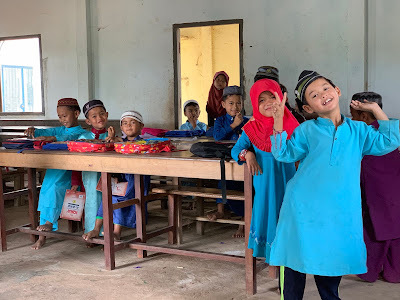 I had a peek at a school which offers the skills of reading Quran. A number of boys were reading in front of a teacher to ensure they got it right. The rest were happily rehearsing their reading and made a lot of noice. They were cool enough to pose for me when I snapped their photos. One bit which concerns me right across the trip was the level of integrity of people. I was told that when it comes to money, we must be very careful in ensuring the funds get spent according to the wishes of the donors. Better to give them money in front of others so that other people know that the money is meant for specific purposes, not for personal use of the recipient. 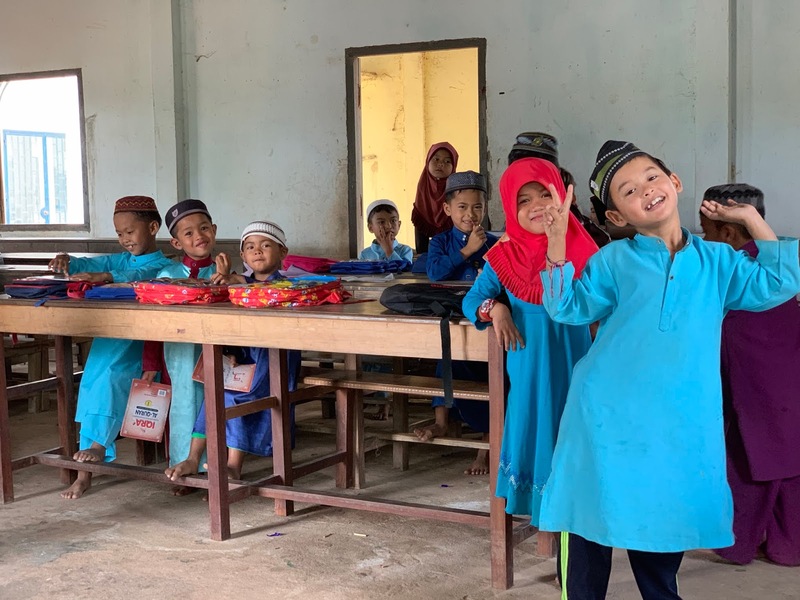 Given the whole country is going through a fast phase of modernisation especially with investments from China and South Korea, these communities could be trained to access knowledge using technology such as e-learning. Could sound far fetch but I view relevant knowledge and skills to be as critical as the traditional education which is made available to their young generation. 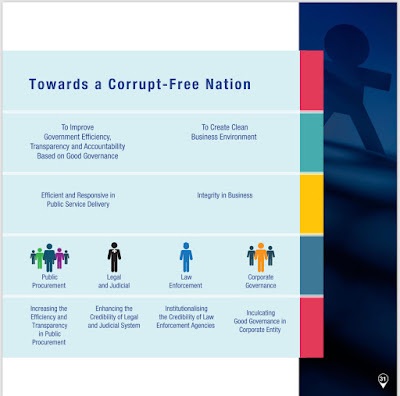 National Anti-Corruption Plan - What Are Our Roles? The Prime Minister recently launched the National Anti-Corruption Plan which intends to break the corruption chain and to get Malaysia to be known for its integrity, not otherwise. This should be seen as the continuation of anti-corruption journey which could be traced to the National Integrity Plan which was formulated in 2004. The present state of corruption should not make Malaysians proud. 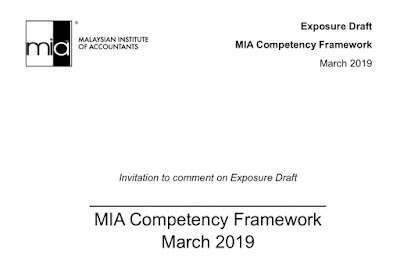 63.3% complaints against corruption involve the public sector and Malaysia's position in the Corruption Perception Index had always been on the lower side for the many years until now. The National Anti-Corruption Plan envisages a corrupt-free nation predicated on the improvements of government efficiency, transparency and accountability, based on good governance. This will create a clean business environment and efficient and responsive public service delivery. For this to happen, public procurement, legal and judicial systems and law enforcement have to be effective. There would be 6 strategies which would be rolled in 22 initiatives over the next 4 years. 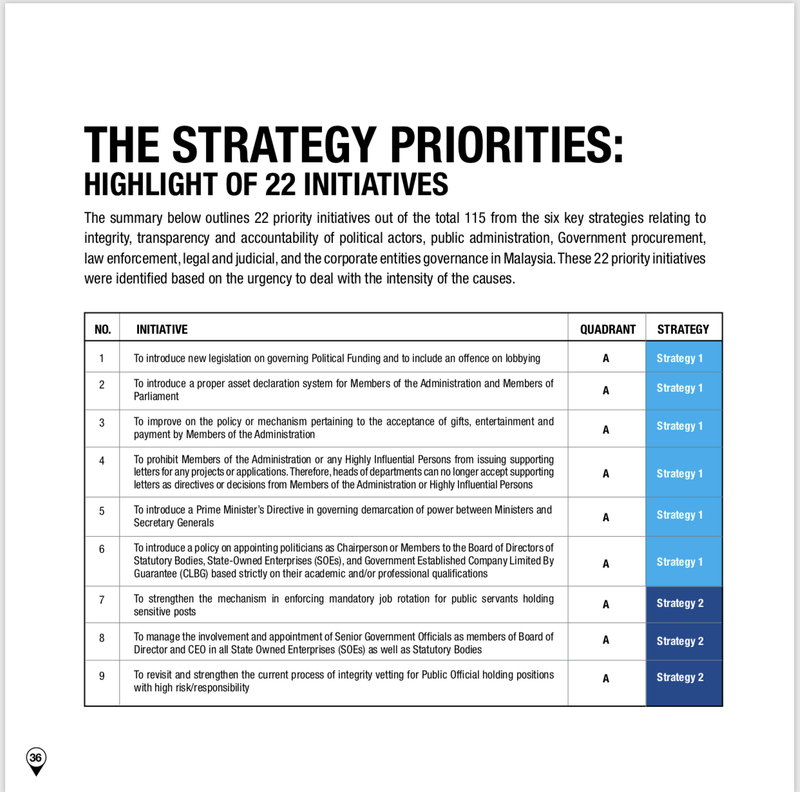 What would be our roles in ensuring the goals of the plan in addressing corruption in Malaysia to be achieved? I am convinced many would be playing the spectators role, doing nothing and will be commenting a lot from the side. Well, that is very much the fact of life in many countries anyway. I trust the would be Malaysians who would be doing their level best to contribute. Given the scope of the plan, there would be plenty of opportunities for us to be involved, both in the public and private sectors. Strengthening governance should not be seen as a private sector affairs. In fact, why we are where we are is very much due to the failures in public governance. One other aspect that is important is for the Malay/Muslim communities to view this as part of the objectives of Shariah. Corruption results in the abuse of public funds. One of the objectives of Shariah (maqasid) is the protection of assets/wealth. Hence, ensuring national wealth to be administered effectively and distributed justly falls within this Shariah objective. In the larger picture, all Malaysians have the responsibilities to build this country to one which benefits everyone. Opportunities should be shared predominantly on merit with government intervention with the sole objective to address inequality, if any sign appears. The rule of law should prevail, based on the constitution of this country. Then only, Malaysians will have the confidence to compete in fair and objective manners, for the benefit of the society at large. Today marks the 41st anniversary of our friendship as the all males 6th batch of MRSM Kota Bharu. We called ourselves WATTOP. Long story but suffice to explain that it means attention seeking, sort of. 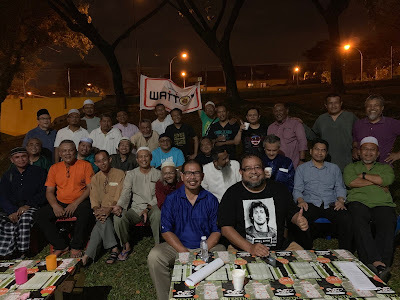 To commemorate the occasion, we had a thanks giving dinner in Shah Alam last night. It was organised in a very short notice but the participations were great. More than 20 of us were there. Food was excellent. As usual the conversation was around our friendship at the college. However, this time around, we spoke more about supporting each other into the future, the state of the country and life after retirement. A number of us consider themselves already retired although many more are still active, working or in business. Perhaps, this shows the stage of life we are in as we move slowly past the half-century mark. While we have gone separate ways in living our lives, having different views and opinions, such a gathering would always bind us together. 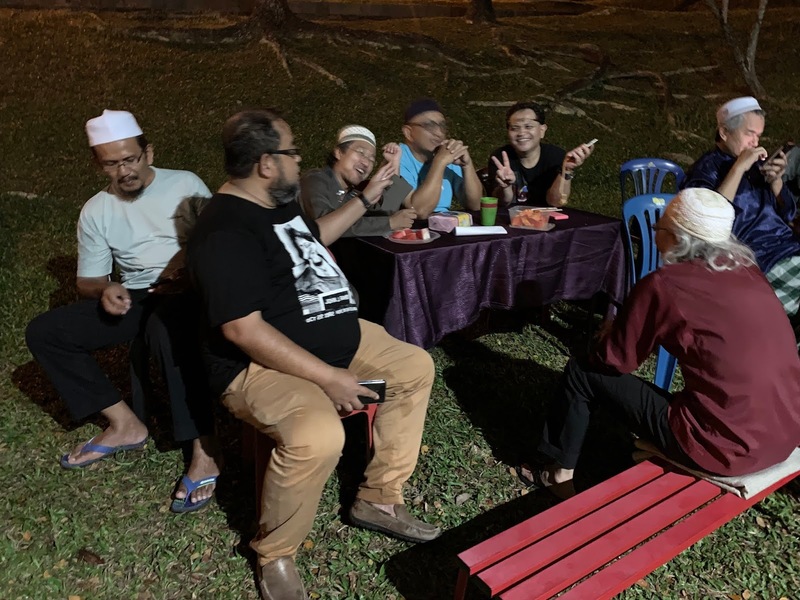 The common background enables us to appreciate differences, some thing which is seriously lacking in the society at large although we are all Malaysians, to say the least. We launched a fund to help each other in needs. Hopefully this will grow into something which is meaningful. Not all of us are as lucky as the rest. I suppose this will be the opportunity to bind us closer. Being the alumni of the MRSM system, our achievements will be assessed based on how much we had given back to the country. How much have we lived with this responsibility? The investment made in nurturing us as well-educated Malaysians should inspire us to pay forward for the future on Malaysia. I look forward to joining many more Wattop events. So far I had been interviewed on television twice in 2019, both on the topics related to governance and anti-corruption. 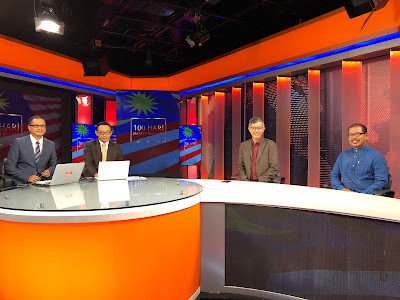 The first interview was aired on 2 January on Astro Awani. I was invited to the programme "Let's Talk" hosted by Sharaad Kuttan. The other co-panellist was Dato' Sri Akhbar Satar, the chairman of Transparency International, Malaysia. 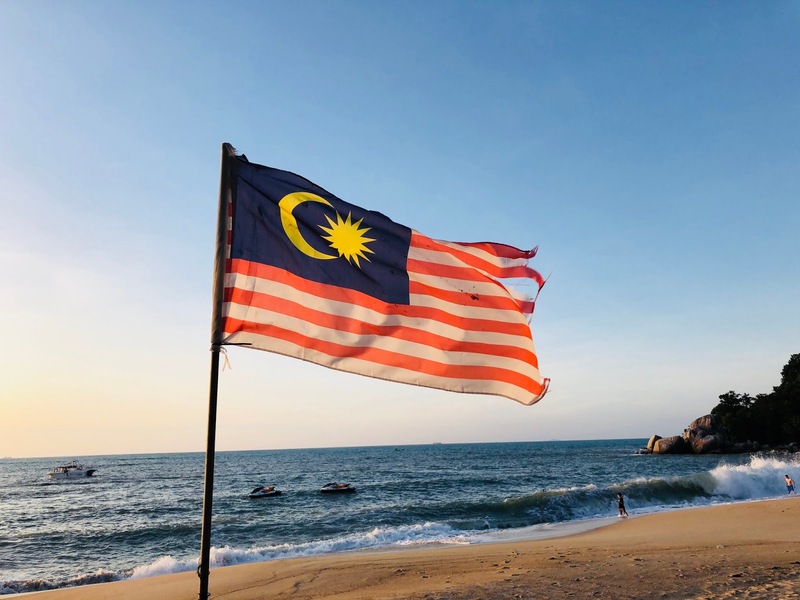 As Malaysians have high expectations on various reforms instituted post the 13th general election, the topic of governance and anti-corruption would be amongst the key indicators whether the new administration would be fulfilling their promises for a better Malaysia. I stressed the points on the need for effective institutional reforms so that our key institutions such as police, anti-corruption commission and various other regulators remain independent and perform their duties without fear or favour. At the same time, the introduction of the political financing law, as promised, would require political parties to revamp their business models and be more transparent on how they are funded. I also suggested that financial reporting in public sector to be treated in similar manner with the private sector where senior public officials who cause financial statements of public institutions to be false or misleading to be fined and jailed. 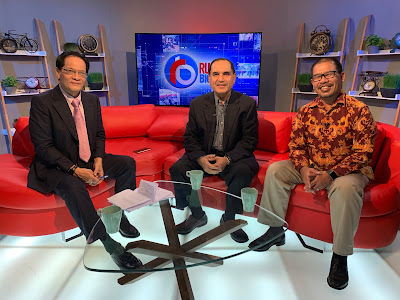 A day later I appeared again with Dato Akhbar as well on a talk show "Ruang Bicara" on Bernama News Channel on similar topics. 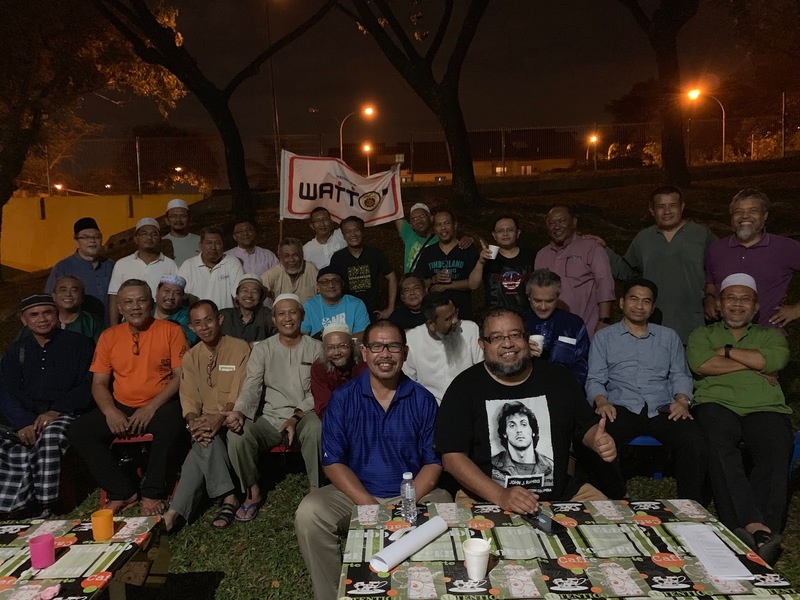 This time the programme was hosted by Sherkawi Jirim, someone whom I knew since small since he started an investigative reporting programme "Panorama" on RTM. It was very popular until, according to Sharkawi, the then power that be wanted it to be shelved. 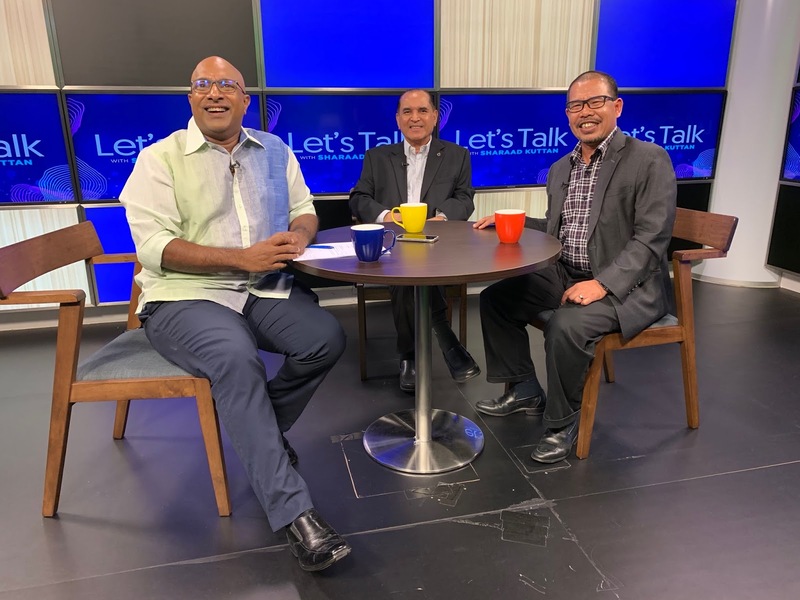 The Malay-speaking programme allowed callers from all over the country to call in and shared their views on corruption. It appeared that the desire of Malaysians for corruption to be tackled seriously remained high. While Dato' Sri Akhbar shared his ideas on how corruption should be addressed, I repeated by views on the need for institutional reform and the introduction of the political party financing law. I also explained how corruption resulted in the society to be deprived of funds for development and direct assistance to the poor and needy. I am very happy that I am able to contribute, in my small way, to enhance governance in Malaysia so that government would be more responsible when spending the Rakyat's money. May 2019 be a year where more structural reforms are introduced to combat the evil of corruption and elevated our governance practices to the level where we would be proud of as Malaysians. Change Is Constant, How Do We Steer It To Our Favour? New year is always associated with new resolutions, aims and goals. Nothing wrong with that. The world will continue to change whether we like it or not. The question is what do we don so that it revolves to our favour and we achieve all the goals which we target. The change drivers may not be changing, Society, Economy, Technology, Environment and Politics, but the elements within those drivers could be changing as well. This requires us to know what the those elements which are changing before we develop our response or figuring out how to benefits from those changes. The key word is we need to strategise and DO SOMETHING. While that sound very logical and many people do have ideas what to pursue, the challenge is whether we have the discipline to follow through and do what we plan to do. To make it easier for us to act later, we should start by identifying the goals which we want to achieve. Then we should detail out the steps which are required. If we back to the wisdom of Einstein "Insanity is doing the same thing over and over and expecting different results" then there should be new efforts in our "to-do list" for this year compared to the year before. To accept the reality that what worked (or we thought worked) may not be working in the future is not easy. What more when those beliefs provide us with some advantages, for example false comfort. We may not realise that by holding to those beliefs we are left behind by people who are more open to review their thoughts and willing to take risks in doing things differently. What are the new things which we need to do? What are the old things which we need to stop doing? What are the old things which we need to do more? What are the old things which we need to do less? With such clarity, if would be easier to allocate resources and exert efforts in pursuing all the goals which we set. Otherwise, after a while, all the old habits will drag us back to doing the old stuff and steering us backwards. The other part is about assessing progress. This is more difficult as we could be bias towards seeing things in a more favourable ways then accepting what our performance really is. Do we need someone external to judge us? Perhaps. If we are not honest ourselves, then we need someone honest to show whether we are progressing, not moving or even digressing! It is not too late for me to wish all of you happy new year (there is another new year coming soon - the blessings of being in Malaysia) and I pray that all our goals would be achieved and we are able to steer the changes around us to our favour. Any anniversary is associated with happiness. This can be true for birthdays, wedding anniversaries or even for friendship. Even the anniversary of death is celebrated by some people in our society. Why should we be happy for any anniversary as it is only the completion of the earth orbiting the sun. Whether what happen to our lives, marriages or friendships, the natural routine will continue. To be happy or not over any anniversary should be about how far things had moved in the right direction. Have our life improved? What are the state of our marriages now compared to the past years? Have our friendships became better? These questions are not easily answered unless we reflect on them and have clear comparisons between the past and present. Have we achieved all targets set or some of them remained out of reach? 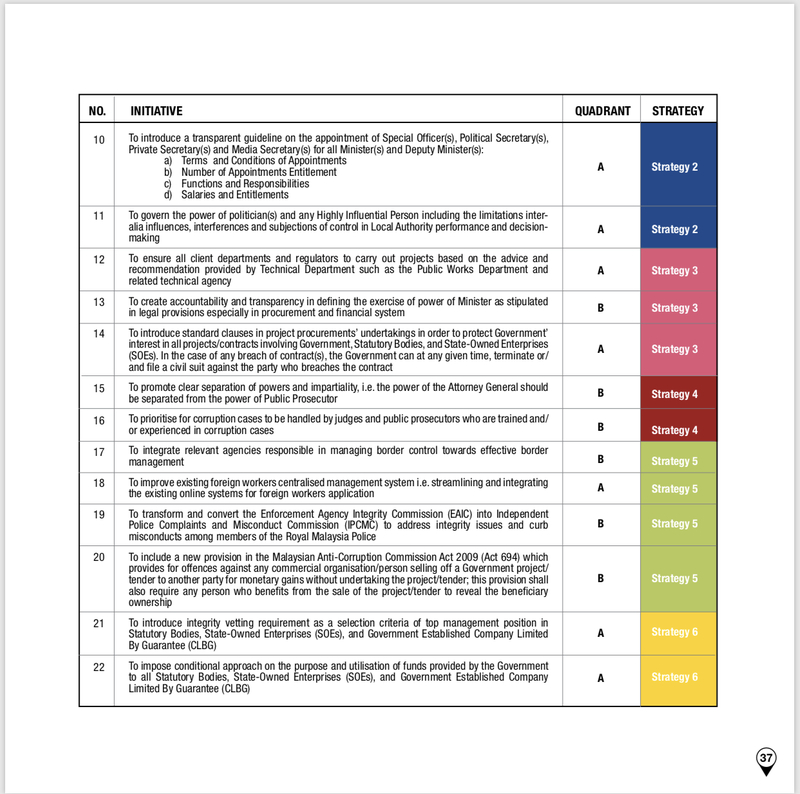 What standards should be use to gauge success? When it comes to a country, the measures to be used in such assessment would be more challenging to select. On quality of life, who should be the benchmark, those living in Bangsar and Sri Hartamas or those living at PPRT flats? On the state of Islam, do we use the Shariah Index conceptualised by JAKIM or we measure the losses incurred by public institutions governed by Muslims as our measure of progress or otherwise? In terms of culture, fairness and justice, do we use collective values based on logic or we stick to religious prescription? Perhaps this is the reason why celebration of independence in many countries come with public holidays. Citizens will have time to reflect whether there are reasons to be happy and celebrate or their nations had rolled backwards. However, many countries organise fireworks and entertainment at the eve of independence days. Certainly those who frequent these celebrations would go home late, have a long and deep sleep and have little time to reflect. For those who are not sleeping in the morning, there would be further events showcasing assets bought using public funds. These assets are like castles, nice to see but they are never our homes, deceiving. Hence, it would be much easier to assess out own contributions towards nation building and giving meaning to independence. How much of our efforts contributed to the well being of the society at large? It would be unfortunate if our individual wealths based on the transgressions occurring at public institutions. Do we belong to the group which are demanding and pressuring without much efforts beyond that? I would like to wish all Malaysians happy Merdeka and please use the long weekend to reflect on what we had achieved and what more to be done to make this country a better place for everyone. Within a week I had the opportunity to share my views and thoughts on governance and integrity at 3 different events. 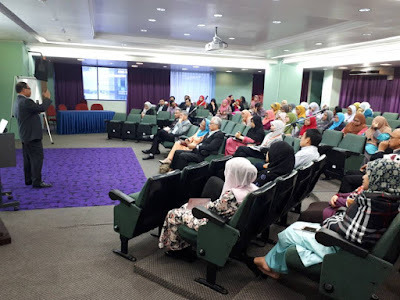 I was invited by the People and Family Development Board (LPPKN) to discuss about governance of public institutions. I shared the elements of corporate governance including board effectiveness, the check and balance mechanisms and effective communication. I related those elements to public sector situations where finance outcomes may not necessarily be the only focus. On of the key messages for LPPKN's board and management was that none of them are too small or insignificant to contribute towards governance excellence. Each of them have important roles to play to achieve their mission in making Malaysian families to enjoy the growth and prosperity of the nation and uphold values which will make Malaysia a great country. I was also invited to be a panellist at the first public event between the Menteri Besar of Kedah and the state civil service. 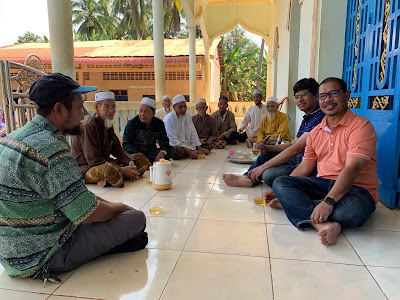 During the event, Dato' Seri Mukhriz Mahathir admitted that as the head of government, his accountability is not only to the state by he would also be assessed by Allah during the Day of Judgment. His message was clear, everyone must be honest in discharging their responsibilities to the citizens of Kedah. After his speech, a discourse on Public Sector Integrity took place. In addition to myself, Tan Sri Ambrin Buang, the former Auditor General and Tan Sri Zabidi, the former Director General of Public Service Department shared their thoughts and experience in how public service could be strengthened and efficiency enhanced. 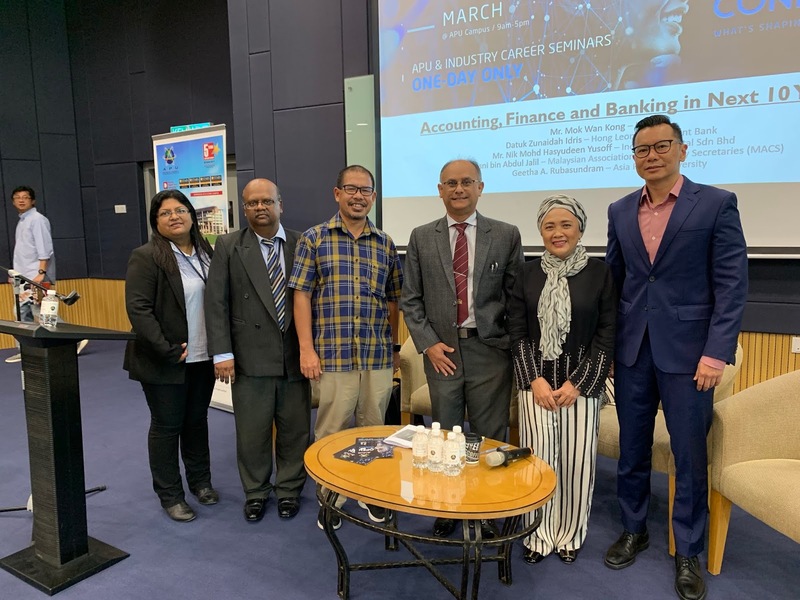 Tan Sri Ambrin encouraged the civil servants to continue to explore opportunities for improvements and not to wait for the Auditor General department to point out where their weaknesses are before acting on those weaknesses. 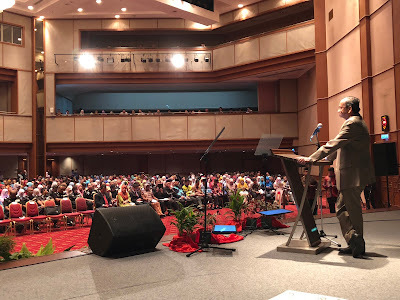 Tan Sri Zabidi, on the other hand, reminded civil servants regarding the oath they had made to serve the public without fear and favour. He also encouraged civil servants to be innovative in servicing the rakyat. The thrust of my discussion was the importance of placing the right persons at boards and senior management of public institutions. They would be setting the tone which would be reflected by the tune of the dance of middle management and the tap of the feet of others on the ground. Effective system of check and balance would be critical in ensuring people's mandate are upheld and civil service remained on track in performing their duties. 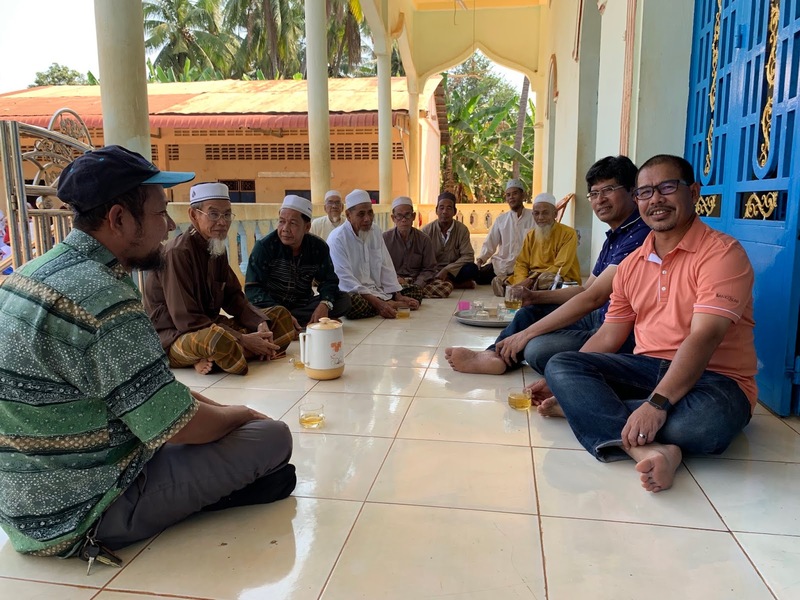 I also reminded them that governance and integrity is part of the Islamic tradition and demonstrated by Abu Bakr and Omar, the first 2 caliphs after Prophet Muhammad who extended the concepts taught by the Prophet. 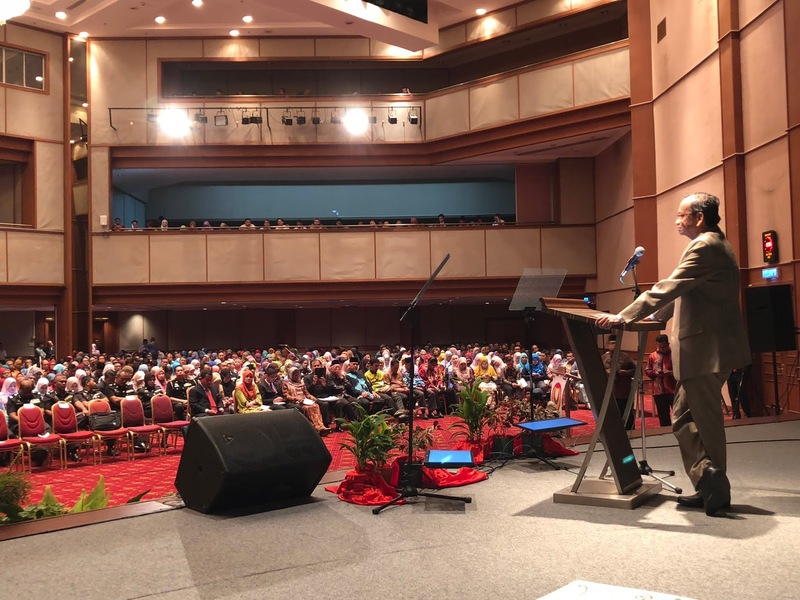 Dato' Seri Mukhriz, his Exco members, senior civil servants and all other participents then took the oath of integrity to reinforce their commitments to serve citizens honestly and with integrity. The third event of a live interview on Astro Awani on governance and enhancing integrity of the public sector. I was interviewed together with Tian Chua, the Vice-President of People Justice Party (PKR). One of the issues that was focused on was on debts, guarantees and obligations of the Federal government. 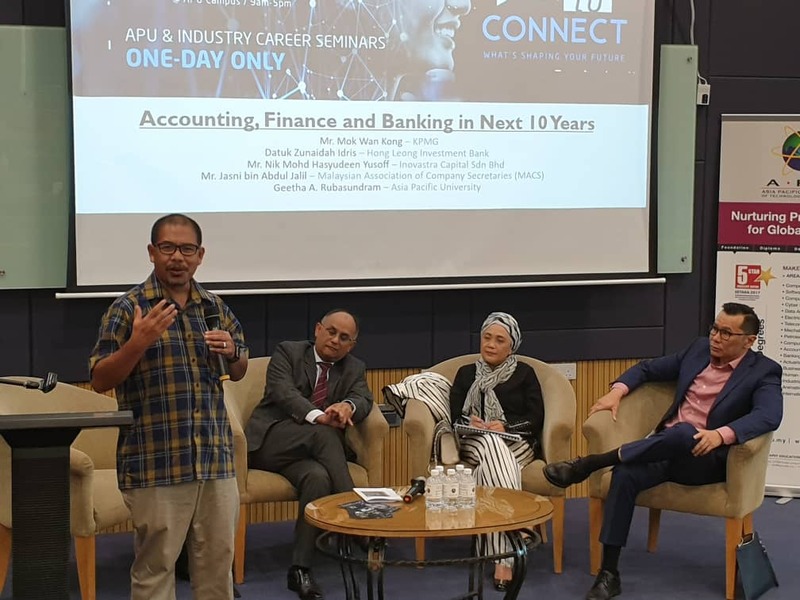 This topic became hot after the new Prime Minister disclosed that the Federal government debts had breached the RM 1 trillion mark. My view was that no one disputed the existence of those liabilities but the debate at the moment is on their classification. The Federal government adopted a modified cash accounting system where assets and liabilities are not brought on balance sheet like the system used in the private sector. Hence, the health of the economy is appraised based on other data and information including the ratio of our debts to the GDP. Some people use international practices in defining the relevant debts while others use the ultimate obligor who will settle those debts and obligations to support their point of views. I suggested that a portal is set up as a depository of all audited financial statement of public institutions at the federal, state and local government levels. This will allow the public to obtain official information regarding financial performance and positions of those institutions and able to have discourse with better information and understanding. This will also force public institutions to be more responsible for their financial management and ensure financial statements are well kept and prepared on time and are audited promptly as well. This platform is not expensive but the impact could be huge. Again, a shared about the need to place people with competency and who have conscience at the board and as leaders of public institutions. They must also be committed to do the right thing. Public institutions must also be independent and able to make decisions on their own to ensure the interests of citizens are protected. In conclusion, I reminded citizens that their duties towards the country in a democratic system do not end only when the general election is over. They must continue to follow developments in the country and voice their views when necessary. This is a collective responsibility and should be shouldered by everyone. This is the reason by government must be transparent and allow the media to share important information. This could be used by the citizens to discharge their duty, as expected in a democracy. Our birthdays is fixed. However, events which occur on our birthday can make it more meaningful as well. The 14th general election was held on 9th May 2018, on my 53rd birthday. 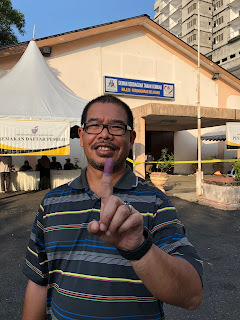 As citizens, me and my family members voted in a number of constituencies; Gombak, Wangsa Maju and Kajang. When the results started to trickle in that evening, a different trend started to emerge compared to last elections. 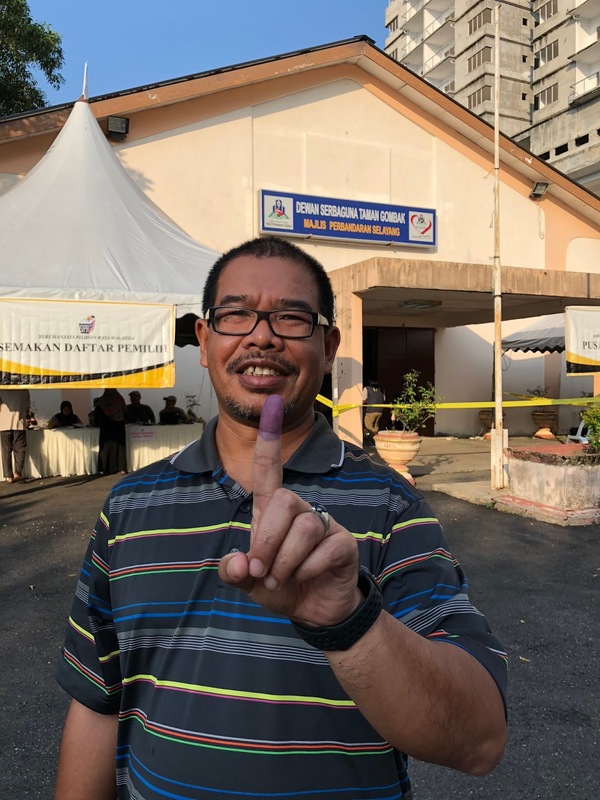 Eventually, around 4.30am on 10 May 2018, the Election Commission officially announced that Pakatan Harapan, led by the former Prime Minister, Tun Dr. Mahathir Mohamad, managed to secure a simple majority in the Malaysian Parliament. The focus then was on the appointment of the Prime Minister. Although the former Prime Minister, Dato Sri Najib Abdul Razak, acknowledged the results in his press conference in the morning, he did not concede and congratulate the opposite side. After some drama, eventually Tun Dr. Mahathir was sworn in as the 7th Prime Minister around 10pm on the 10th of May. For those who had decide to choose a fresh set of people to lead the country, they would be waiting for Pakatan Harapan to fulfil its election promises. Certainly not all of those promises would be fulfil in the short term but the people would expect the 100 day promises to be delivered just as promised, within 100 days. A nation is not only built by those in leadership and administration but citizens, like you and me, have our roles to play. We can't just wait for whatever that we wish to happen, we have to make it happen through our efforts and contributions. While what happened on my birthday this year was not planned, my birthday this year was certainly very meaningful. 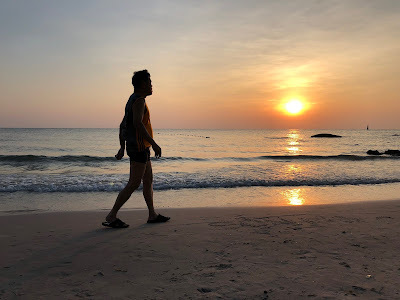 I am having a short break with few friends in Hua Hin, around 3 hours drive to the south from Bangkok. 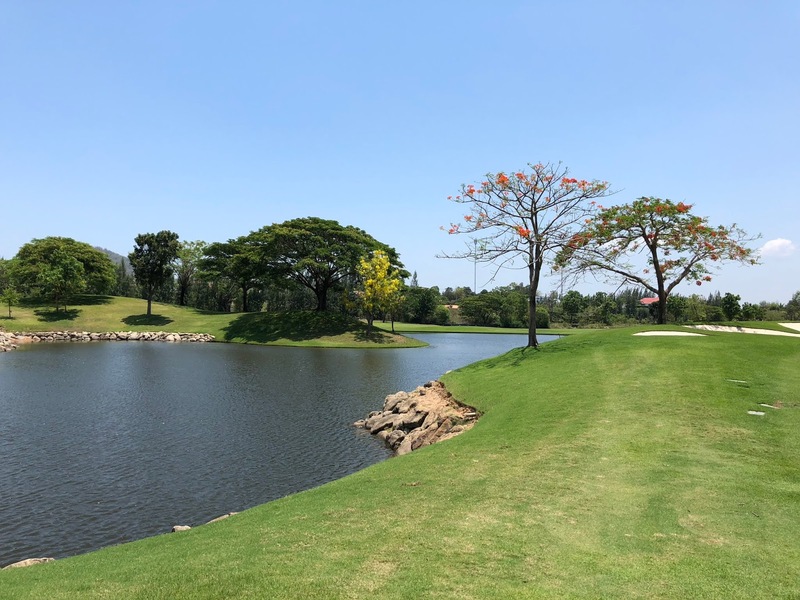 Our main mission is to play golf at a number of internationally acclaimed golf courses here. One of them is Black Mountain, one of the best golf courses in the region. Somehow, we are here in the middle of Songkran, the Thai New Year. This is celebrated by spraying and pouring water to others, with the intention to have a good time. No offence intended. One should be prepared to be wet and should not be offended when got sprayed or poured with water. 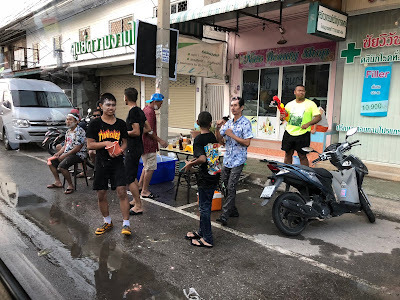 In Hua Hin, which is also a tourist centre, many tourists participated in the celebration by wearing flowery clothes and spraying and pouring water to others, just like the Thais. 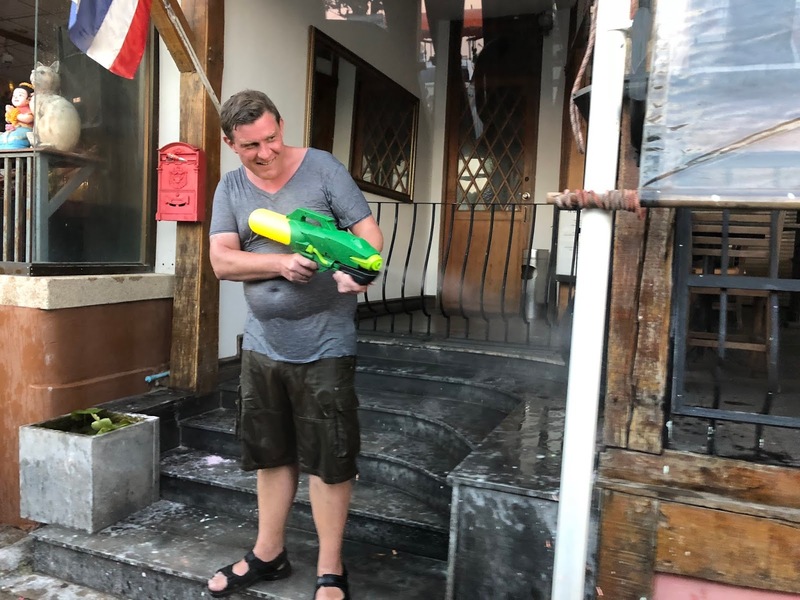 While we thought it would be great to join, the thought of wearing wet clothes deterred us from joining the fun. Hua Hin is also located by the sea and the shore is another attraction for people here. While the sand is not as white as with other beaches, many people fo there to relex and have food sold along the beaches. Plenty of seafood for them to choose from. For Muslims, there are a number of places where halal food is sold including at a stall near the railway station. 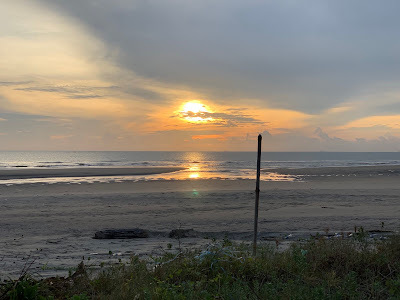 The operator is from Tak Bai, which is located at the border with Kelantan. 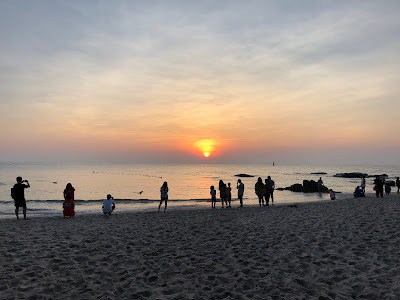 It is a great location to watch sun raise and when I was there this morning, there were already many people with their cameras to capture the beautiful scenery. 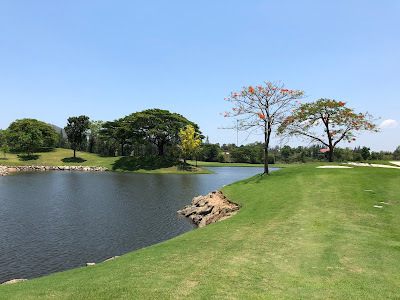 With another day to go, Hua Hin is certainly a great place to visit, especially for golfers and food hunters.